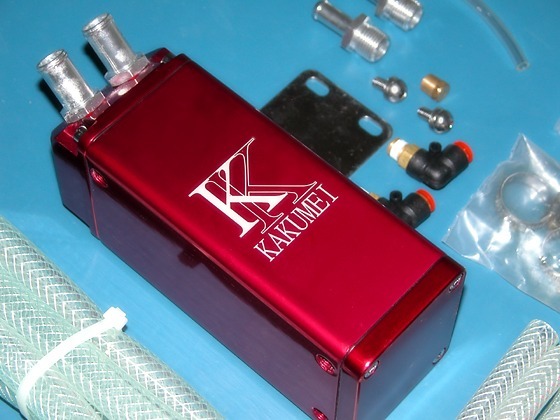 KAKUMEI MOTORSPORTS | KAKUMEI Oil Catch Tank 9mm and 15mm Hose. 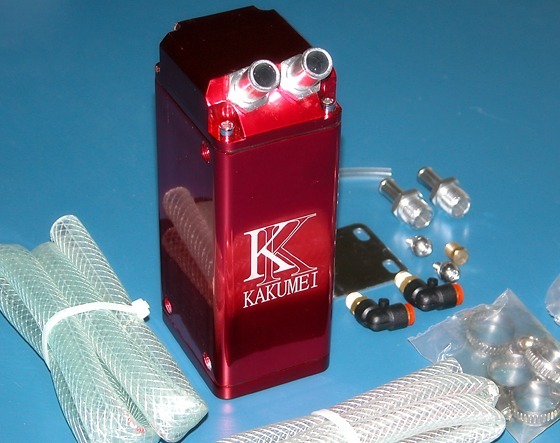 KAKUMEI Oil Catch Tank 9mm and 15mm Hose catches the oil and moisture in the blow-by gas that causes carbon and sludge build-up in the intake system and the engine. It keeps the engine clean even under hard driving conditions. It is also an excellent engine dress up item that gives a racecar look. 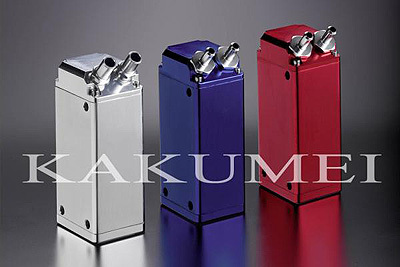 Polished aluminum body with sight glass.